This week on The Song Revolution Podcast we released an archived episode with Pat Barrett, cowriter of the ubiquitous worship hit, Good Good Father. The episode is fun, engaging, and warm as Barrett shares about his family, ministry, and the sudden demands of having a hit worship song that has gone global in a big way. Barrett is also the debut artist on iconic worship leader and artist Chris Tomlin’s label Bowyer & Bow, which I got to ask Tomlin about on the Red Carpet at The 49th Annual Dove Awards. Check out the video above for an exclusive Red Carpet interview with Chris and don’t miss the podcast episode this week with a humble and amazing worship leader and songwriter, Pat Barrett! Are you an NCS Member yet? Get exclusive monthly masterclasses, discounts, and insider tips and information to take your songwriting even higher! 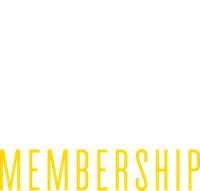 Fulfill your call to write great worship songs today with NCS Membership!